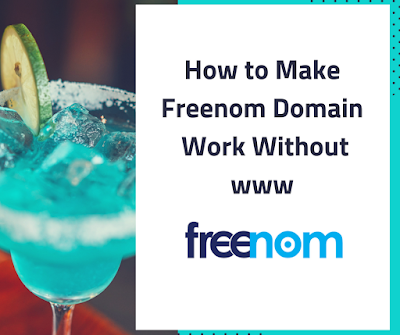 thousands of domains are hosted on freenom for free, but hosting is available for limited time which means freenom gives you 12 months domain hosting in free.. and you can use this free domain for your blog or website in any niche including adult..
And you will get white background input box that say "FIND a New FREE Domain", and enter your domain name without http/https and .com/net extensions then you will get your results in .tk,ga,ml and gq extensions finally choose one of domain extension that you have liked & click on Get it now! if it is not token previously..
After you have checkout your new domain and select for how many period you want to register your domain, i recommended you to register your domain for 12 months.. then freenom will asks you to enter your email for verification after you add that you will get an email that contain verification link then click on and enter you personal info like company name,country,address,zip code and phone number or you can use fakenamegenerator.com if not want to fill your personal information. and get in to your client area. congratulation you have registered you domain successfully! After your domain fully activated click on Services on the client area then tab on My Domains from coming drop downs next on, you will get your domain list and click on Manage Domain to one of your domains that you want to setup. 216.239.38.21 to target tab after that click on more records.. name & type input fields are same.. but as you see on the picture the target part has little changes. after you have added the 4 A records successfully your domain will start working with & without www.. you can refer the target part from image..
Glad to hear this salwan!